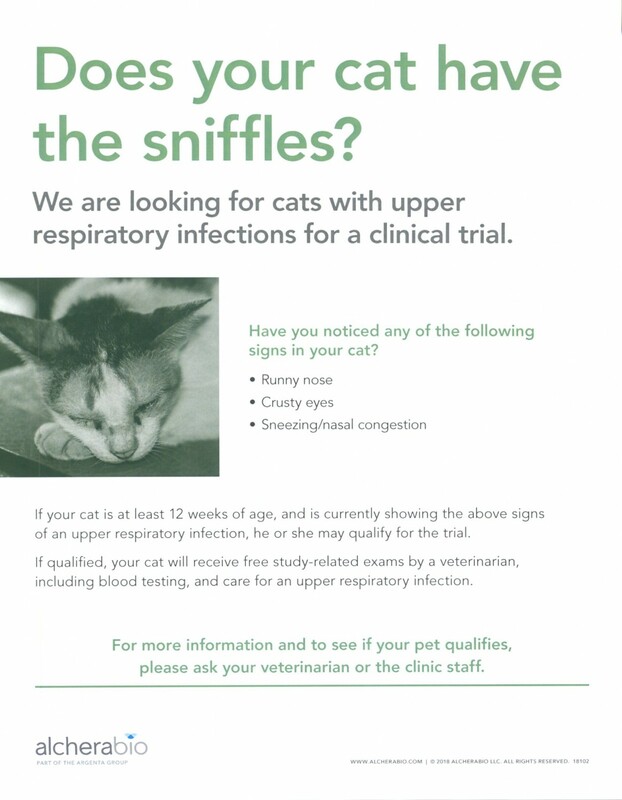 We are conducting a clinical trial for cats with upper respiratory infections. Cats must be at least 12 weeks old, weigh at least 1.9 pounds, and currently exhibit signs of an upper respiratory infection. All breeds and sexes accepted. This is a placebo-based trial for a liquid medication given once daily for 7 days. Qualified candidates will receive exams, lab work, and medication at NO CHARGE and will receive a monetary hospital credit for completion of this 13-day trial to use toward any additional service.